Here’s how you can get the MacBook Pro-like Touch Bar experience on any of your Android device the easy way. No root is required for this to work. Android may be the world’s most popular mobile operating system with the lion’s share of the market but that definitely doesn’t mean that it can’t learn a thing or two not only from stock iOS but also some of the additional creations coming out of Apple and its platforms. 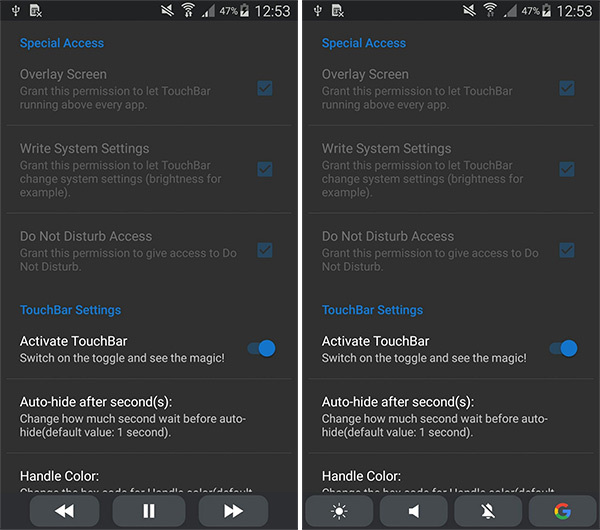 Apple’s 2016 release of the Touch Bar-enabled MacBook Pro has inspired a range of software creations for jailbroken devices, with developers looking to bring that type of experience to iOS, and now, XDA Developers member alecot18 has brought a similar experience to Android. 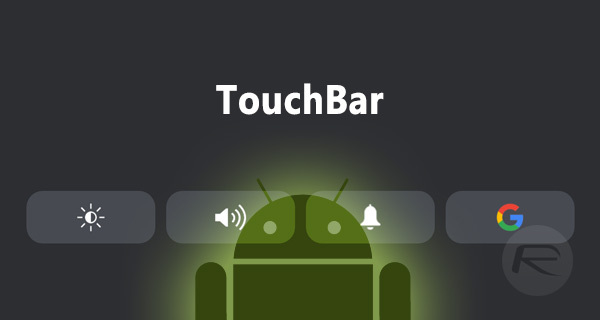 The developer tells us that “TouchBar” for Android was inspired by the original TouchBar for iOS. This is essentially a quick and lightweight way for Android device owners to get almost immediate single-touch access to a range of things that they use on a frequent basis within the Android ecosystem. A lot of the features added here are accessible relatively quickly anyway through other menus, and are even exposed in Control Center on iOS, but this TouchBar for Android is a simple yet elegant bar which gives immediate access to a range of toggles. Two of the most commonly used toggles will likely be the ability to instantly toggle WiFi and Bluetooth on and off on the device. It’s probably fair to suggest that most of us are used to interacting with wireless networks or Bluetooth devices on an almost daily basis, making these two options integral to the TouchBar for Android experience. Those using the app will also be able to toggle auto-rotation on and off easily, handle auto-brightness, and even set the music level with ease. Separate to that music level, there is also the ability to control music playback, and also toggle the ringer level and change its type. And what good would an Android TouchBar be without quick access to Google? Exactly; no good at all, which is why this particular developer has had the foresight to include such a function. For those who are interested in this, and who would love to get a little bit of macOS onto their Android device, the TouchBar app can be downloaded from here. can follow us on Twitter, add us to your circle on Google+ or like our Facebook page to keep yourself updated on all the latest from Microsoft, Google, Apple and the Web.